_The first service of Rutherglen Congregational Church was held on the 19th of May 1901 in the Harriet Street Hall. Many of those who formed that congregation had been members of the Evangelical Union Church in the town but had left en-masse – their reasons for doing so have not been unearthed as yet! After worshipping there for two years the congregation then moved into a purpose built church on East Main Street and remained there until 1935 when they moved into their current building on Johnstone Drive. On 1st April 2000 as a result of a union between the ‘Congregational Union of Scotland’ and the ‘United Reformed Church’ the church became known as Rutherglen United Reformed Church. During 2001 the church embarked on a major redevelopment of the building and the centenary of the church was celebrated in the refurbished sanctuary. In the next two years the halls were extended and redesigned to ensure that the building was accessible to all and provided community groups with attractive yet affordable facilities in which to meet. _The sanctuary in Johnstone Drive has been redeveloped over the years. 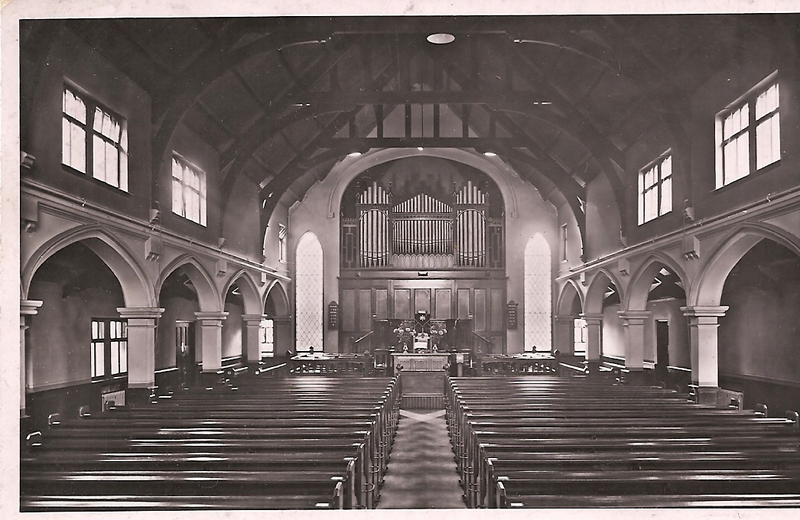 The Organ console which was in front of the pulpit was moved – firstly to the ‘Choir Loft’ and then having been damaged, following burst pipes, was replaced by a digital console which was situated on the left side of the chancel. 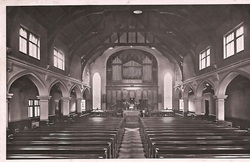 In 2001 when the Sanctuary was redecorated as part of a wider redevelopment of the whole building the pews were replaced with chairs and the chancel was widened in order to create a more flexible worship space. In 2011 the church installed a stained glass window in place of the central section of organ pipes. The final report of our first Local Mission and Ministry Review (LMMR) is now available. To find out more about LMMR and to view our first report, visit our LMMR page.